I have been an observer of numismatic market trends for over 40 years. During that time, rare coins have risen and fallen sharply many times. Historically, the rare coin market has been very cyclical. The first rare coin boom I experienced was in 1979-1980. Precious metal prices exploded in 1979, in part because of the Hunt Brothers trying to corner the silver market. 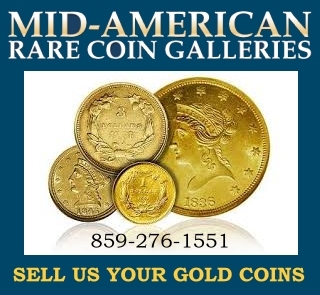 Rare coins rode the wave, and many issues increased in value tenfold almost overnight. By 1982, the bubble had burst on gold and silver prices, and rare coins tumbled as well. The country was in the grips of a deep recession and the rare coin market suffered mightily. Many coin businesses were on the brink of bankruptcy, and it was during this time that Jim Halperin and Steve Ivy joined forces to survive the crash. The creation of Heritage Rare Coins worked out pretty well for them! 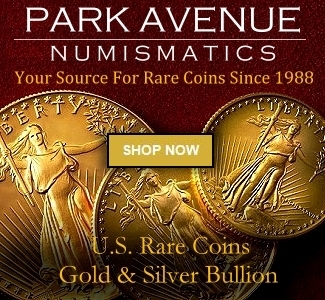 The rare coin market rebounded in 1984 with a giant focus on generic gold issues. Many of today’s most successful dealers got their start during this heady time. Starting in 1989, the rare coin market again exploded with the advent of third-party grading and Wall Street investments. Later, in 1991-92, the coin market fell sharply during the economic slowdown of time. The creation of the internet has changed the market profoundly by expanding the collector base of the hobby. The market no longer seems to jump sharply or drop rapidly. Market trends are much slower to develop. One major market trend that has been developing in the last few years has been the slow erosion of market premiums for common-date, and some not-so-common-date, gold coins. The premium over melt value for double eagles is the lowest that it has been in my 45-year career. Many lower-grade common-date Double Eagles can be purchased for very little over melt value, and are less expensive than current-date American Gold Eagles. As you can see from the above information, there has never been a better time to purchase Double Eagles. Gold prices have been stable, hovering around $1,300 per ounce. There are a lot of precious metal gurus promoting the virtues of the ultimate hard asset. With the federal deficit passing the $20 trillion level, some investment in gold seems to be a logical hedge against financial calamity. With United States gold coins trading at historic low premiums, these would offer two ways to profit. The coins will increase in value based on bullion prices, and the premiums could rise over time closer to historic norms. 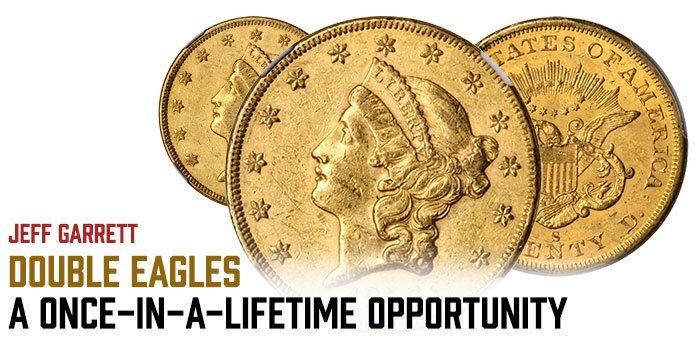 If you are interested in buying gold bullion, there is no better option than choosing United States Double Eagles. The above information is primarily based on some sort of investment in gold bullion. My primary focus has always been to promote the joys and benefits of coin collecting. Now is probably the best opportunity in our lifetime to start a set of United States Double Eagles. You can now purchase from 75-100 different date mint-condition U.S. Double Eagles for less than $1,500 each. Many other dates are available for under $3,000 each in lesser condition. For not much more than the price of bullion, you can assemble an incredibly impressive starter set of Double Eagles. 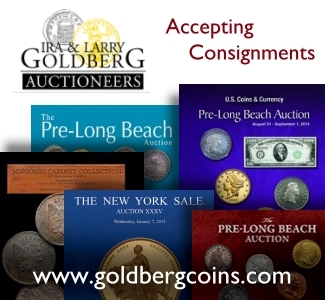 As has been mentioned many times in my articles, when collecting, it is usually best to purchase coins in the highest condition you can afford. This holds true for Double Eagles, but there are several factors to consider. U.S. 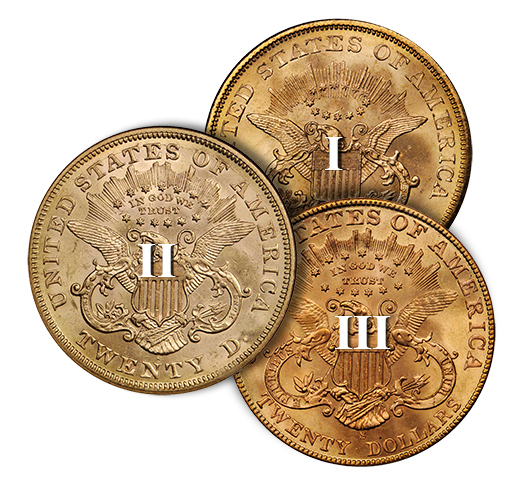 Double Eagles are a large and heavy coin–therefore many are heavily bag-marked. Also, many of the early issues saw extensive circulation and are usually found well-worn. With the exception of about 10 different dates, Double Eagles soar in price based on condition. 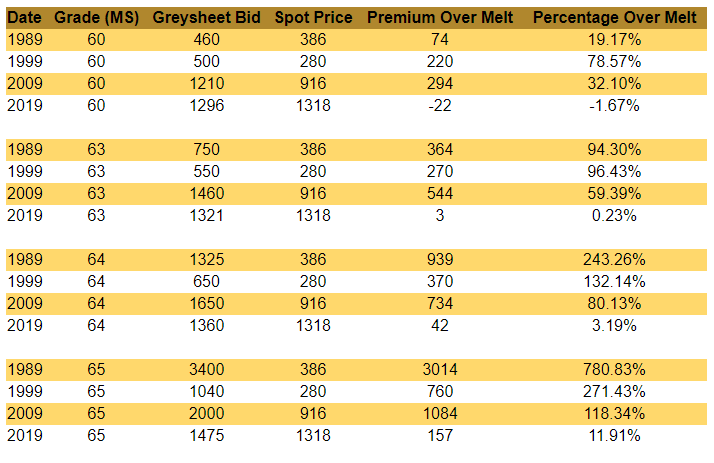 Some may trade for $1,400 in MS 60 and $25,000 in MS 65. By contrast, some dates are known in huge numbers and can be purchased for reasonable prices in Gem condition. Two of the most common-date Double Eagles in Gem condition are 1904 Liberty Double Eagles and 1908 No Motto Saint-Gaudens Double Eagles. Large groups of both issues have surfaced over the years and can be readily found in the highest conditions for the type. U.S. Double Eagles are a fascinating series. Liberty Double Eagles start with the unique 1849 and continue through 1907. Saint-Gaudens Double Eagles start with the 1907 High Relief and end with the enigmatic 1933 Double Eagle. Both series are full of major rarities and interesting issues, such as Carson City or New Orleans productions. Collectors can and have spent millions assembling sets of U.S. Double Eagles. For those less interested in spending a major fortune, the series offers an amazing array of date and mintmark combinations that would be fun to collect, and hopefully a good long-term investment. For a coin type that was obviously heavily melted to create what is now the bars at Fort Knox, these low premiums speak to a still-substantial supply. Granted, not all domestically held coins were surrendered in 1933, but I suspect some sizable number have been repatriated back into the domestic market after having spent considerable time overseas between 1933 and 1974. There is no reason the more common double eagles to sell at prior premiums to the metal content. Look at the TPG population counts to get an idea how common these coins actually are. These coins sell as bullion because that’s what it is.